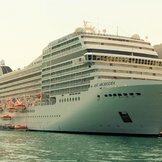 This was the first time I had been on a MSC cruise so I did not know what to expect. It was disappointing at best. Other than our wait staff at the dinner setting and one bartender, the customer service on board was terrible. The head dinner waiter was rude and unable to provide any solutions to a later seating one night. The cruise staff is programmed to get as much money out of it's customers so there were constant sales pitches for dinners and drink packages. MSC "nickled and dimed" the whole cruise. Things that would be standard or free were charged on board. On room service, we received the wrong meal and were charged for it. When some of the staff was off, we were traveling with them on a bus to get back on board and they were bad-mouthing American passengers loud enough for the whole bus to hear. Then they put on their MSC uniforms and worked for the people they were bad-mouthing moments before! The food quality was very poor. Most of the food was salty or mushy or not prepared very well. The wine and drink quality was par at best. 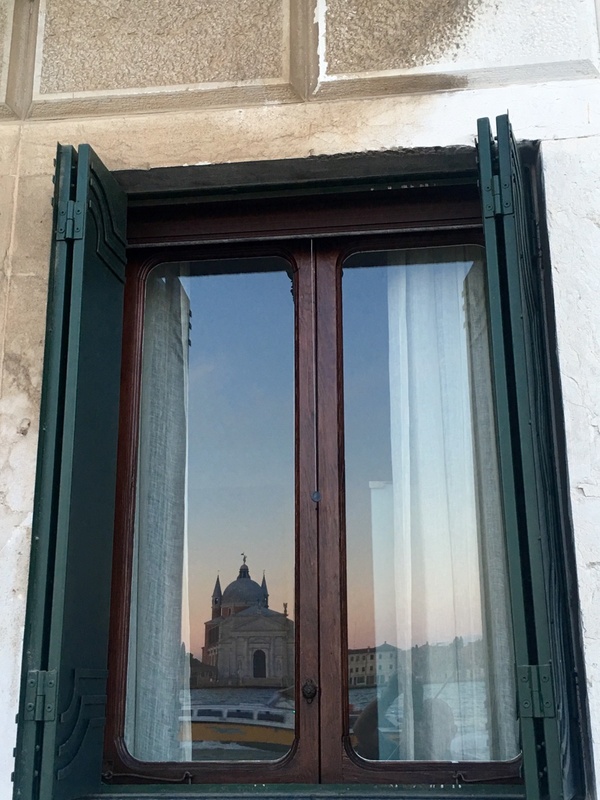 The excursions were all expensive and when buying a wine package they included hidden fees. And this cruise was for families, not singles or couples. Kids were everywhere and a lot of them not behaving very well. I think MSC allows kids to cruise for free. The noise level definitely rose. Really all we used MSC for was the transportation around the various ports. I will not use MSC for any travel plans in the future. I have my favorites that I will stick to!! The ship itself was very nice but looked more worn than only five years old. The lounges and decor were quite nice, almost paradoxical for the actual calibre of cruise this was. The location of our cabin was quite convenient. The ship was large but easily navigable. It is sad to report that the company MSC wants to make money on everything including water.REALLY?? I was so surprised since this was my first ever cruise! I think that we should be able to eat at any restaurant on the ship for free. We were only allowed to eat in certain places and the food was not good. I am emabarassed for the Italian food served on this Italian cruise ship! I would not recommend this ship or cruise line for those reasons! The ship was lovely and very clean. A little small, but still nice. Large ship, good layout. Pool water was directly pumped in from the Baltic sea which was very nice as I do not like chlorine. Overall we had a good cruise. This was our first cruise, so we don't have anything to compare it to. The travellers were me, my husband & three kids (6, 2 & 10 months). The ship was beautiful, I had a great time and a lot of laughs due to a family reunion onboard. So the overall week was fantastic. The food and the service in the dinning room could and should have been better. Some meals ranged from very good to awful (lobster). Bartenders & service help could have been friendlier and more interactive. Wasn't a bad cruise at all but could have been better on the food & service side. The ship was beautiful but the staff was not very friendly and accomdating. Additionally the staff spoke very little English therefore it was difficult at times to communicate. The food was not what I expected on an Italian ship. Ship was clean, the food was good. The entertainment was on the low side though...lot's of opera and almost no entertainment by the pool. I'm asking "where is the calypso music?" Also, on the days at sea, the pools were super crowded becuase of the layout of the ship. There is no pool just for adults which I missed as well. The ship was beautiful but it stops there. This was cruise # 5 for us and we were very disappointed with our service and food. We won't be back on this cruise line! This was a beautiful ship and the service was outstanding. We heard several complaints while on board but I believe some people just can not be pleased! The MSC Orchestra is a beautiful ship! The lounges are very nicely decorated, very comfortable furniture. The ship is kept extremely clean. A beautiful ship with a very attentive staff -great potential. But who wants to snorkel on St John at 10:30 PM? or hit the beach in Nassau from 7AM to noon? We never saw the Dominican Republic - we were stuck on a private island with hard, mildewed beach chairs - no pads- and the Barbeque was pay as you go - $7 for a hamburger, $5 for a small plastic cup of beer. Food on board was even worse and one paid extra for cappacino even in the dining room, or for ice cream during the day. No terry robes in balcony rooms and no turn down chocolates on the pillow. Finally disembarkation was unnecessarily difficult because ship returned to pier 19 when it had left from pier 4 - cars were not nearby and since I use a mobility scooter I could not take the shuttle easily to the garage to retrieve my car. Better planning is definitely required. We really enjoyed our time on the ship. 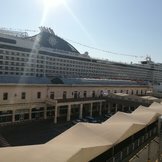 The Ports of call were great, the food was outstanding, the dining room service was excellent, our stateroom was great, our cabin steward looked after most of our needs and the overall cleanliness of the ship was great. The challenges we experienced were with the overall age of the ship, although it is supposed to be new it really appeared quite dated for a new ship. The dining room breakfasts were not very good as a result of the service provided, the Bar/beverage serving staff were nowhere to be found on deck, in the Theatre or even in some of the lounge/bar area. The tab would have been much greater had they been even somewhat available or attentive. The overall entertainment on the ship was sorrowly lacking...the Night Club did not open until midnight or later and the other options until then were the same old cruise shtick...kinda corny!